Kenya’s armed forces are considered to be the most powerful in East and Central Africa. They are highly competent and experienced, as they have fought in neighbouring Somalia and have taken part in numerous peacekeeping operations. Kenya’s Navy is the best equipped force on the East African coast, benefitting from regular training and assistance from countries like the United States, UK, France and South Africa, something that has proven useful in combating piracy, maritime crime and al Shabaab militants in neighbouring Somalia. Kenya is one of the top ten defence spenders in Africa, resulting in a well-equipped military force that has received a large amount of new equipment over the last several years, including small arms, aircraft, ships and armoured vehicles. It has been reported that Kenya has received five Mi-28 attack helicopters from Russia, with another 11 on order, but this cannot be confirmed. Also not confirmed is Kenya’s acceptance of 110 T-72 tanks from the Ukraine, as it is believed that many of these were sent to neighbouring South Sudan in 2010. Although Kenya’s military has a reputation for being a strong force, it has been accused of human rights abuses, such as against Somali refugees, as well as corruption. Kenya has a modest local defence industry, but it is expanding its capabilities. For instance, in late 2012 South African company Osprea Logistics announced it was setting up a facility to assemble Mamba Mk 5 armoured personnel carriers in Kenya, and aims to produce 100 in its first year of operation. External •	Kenya initiated military action against al Qaeda affiliate al Shabaab, crossing into Somalia on October 16, 2011. 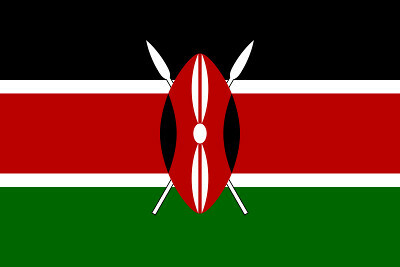 In response to the Kenyan intervention, al Shabaab and its sympathizers have conducted retaliatory attacks against civilian and government targets in Kenya. •	Incidences of maritime piracy remain a concern on Kenya’s coastline. •	Political tension between Kenya and Uganda concerning the ownership of the Magingo Island remains a concern. Internal	 •	Violent ethnic clashes regularly occur in the north of the country and have on previous occasions affected the country’s political and security systems. Regional •	Military and political tensions between North and South Sudan may affect Kenya’s foreign security policy. Economic •	Kenya’s economy is mainly market-based making the country’s economy highly vulnerable to fluctuations on international markets.